It should be within our rights to take our own lives when the circumstances warrant it. That means we must be prepared to accept laws in favor of assisted suicide. This becomes even more important in light of potential technologies that could grant us extreme longevity. As a supporter of radical life extension, it might seem hypocritical of me to stand up for physician-assisted suicide. Though it might not be immediately obvious that the two are related, they are; both issues pertain to our bodily autonomy and our right to self-determination. Moreover, as life-extending technologies become increasingly effective, and as we get to live longer and longer lives, we will increasingly insist on taking ownership over our lives. Otherwise, the day may come when we’re forced to live indefinitely — a potentially dystopian state of affairs by any measure. How Will Humans Respond to Immortality? But before I get too far ahead of myself, here, it’s important to note why assisted suicide is also relevant to the here and now. This is an issue as much for the present day as it is for the future. As it stands, physician-assisted suicide is illegal in most jurisdictions. The only places where it’s sanctioned are Belgium, Luxembourg, the Netherlands, Switzerland, and four American states (Oregon, Washington, Vermont, and Montana). So, in most jurisdictions, it is not legal for someone to help you die — even with your informed, willing, and competent consent. Legislation almost everywhere insists that you allow your body and brain to be ravaged by disease until you die from its effects. This, it seems, is seen as being somehow less repugnant or more ethical than the compassionate and considerate act of assisted suicide. Much of this has to do with historical, religious, and cultural inhibitions against suicide. The notion of respecting the "sanctity of life," while at the same time rejecting people's wishes, is characteristic of the Christian bioethic. Death, Christians would argue, is the exclusive domain of God, a place where humans have no business. From this context, it shouldn't come as a surprise that current laws retain this paternalistic quality; taking ownership of death is still considered taboo. Western medical practices are also contributing to the bias against assisted suicide. The injunction to “do no harm” has hampered efforts in favor of increasing patient autonomy. So, it’s not what the patient wants, but what the physician thinks is in the best interest of the patient. The most common argument against assisted suicide is that, once legalized, it could eventually get out of control and lead to abuse. Critics also worry that it will increasingly diminish the value of life, that terminally ill patients will be coerced by friends and family into killing themselves, or that it will be seen as an easy way out. But the evidence simply doesn't support these fears. Studies carried out in the Netherlands by Paul J. van der Maas compellingly show no evidence whatsoever of a descent down a slippery slope toward non-voluntary assisted suicide. 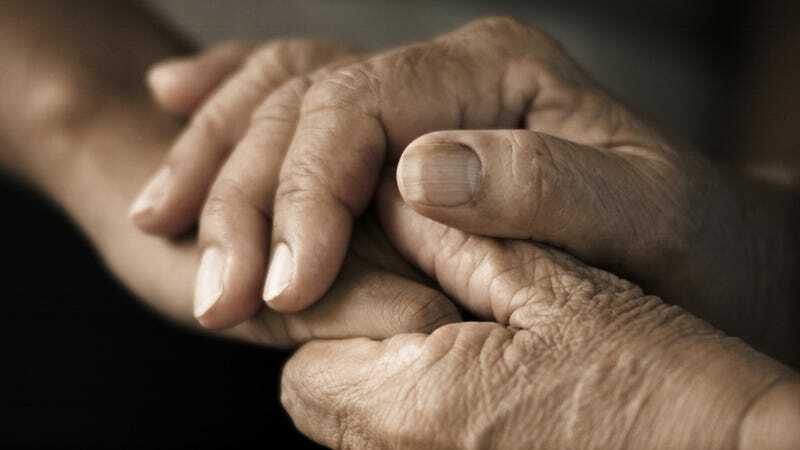 And in a study from earlier this year, Elizabeth Trice Loggers and colleagues showed that physician-assisted suicide programs are rarely used. Specifically, they noted that terminally ill patients in Washington state are not rushing to get lethal prescriptions. Almost three years after the state’s Death With Dignity Act was enacted, just 255 people had obtained a lethal prescription from their doctor. Revealingly, the researchers found that the most common reasons cited for wanting to participate in the program were loss of autonomy, an inability to engage in enjoyable activities, and a loss of dignity. Another common argument is that palliative care is improving, and that terminally ill people are therefore no longer in significant pain or discomfort. I only wish this were true. High-quality palliative care still results in undesirable side effects, including nausea, incontinence and loss of awareness arising from semi-permanent drowsiness. And not only are people still experiencing intolerable levels of pain, they are not receiving adequate healthcare in these days of rampant anti-universal-healthcare sentiments. As Peter A. Singer of the University of Toronto’s Joint Centre for Bioethics (not to be confused with Princeton University's Peter Singer) has argued, hospitals are not providing enough palliative care. "Go into a ward of your local hospital and unfortunately you should have no trouble finding a dying patient who is in pain, or one who has not been effectively engaged in discussions about life-sustaining treatment decisions," he says. This issue is also closely related to the right to refuse medical treatment. People should also be able to choose whether or not they wish to undergo painful treatments or radical surgery. Many treatments are uncomfortable, expensive, and far from guaranteed. In the case of terminal illnesses, it’s perfectly reasonable for someone to want to live their final three months with dignity rather than 12 uncertain months in agony — not to mention the risk of bankrupting the entire family. Which is in-and-of itself extremely problematic — yet another strong case for universal healthcare. As it stands right now in the United States, the right to refuse medical treatment can be granted on religious grounds (First Amendment) or where a person is deemed to be incompetent and unable to give consent — so consent is instead in the hands of a surrogate. This would imply that a competent person should be able to refuse their own life saving treatment. As judicial expert William Rehnquist argued, the right to refuse medical treatment is embodied within several other rights, including our right to bodily integrity and the notion of informed consent, the right to self-determination, and the right to privacy. Ultimately, the law must respect competent personal choice so long as it doesn't harm others, along with the assurance that effective mechanisms are put into place to prevent abuse. If a person is suffering from a terminal illness, is unlikely to benefit from the discovery of a cure in the time remaining, is suffering intolerable pain, has a life that is unacceptably burdensome, has a continuing voluntary and competent desire to die, and is unable to commit suicide without assistance, then there should be no legal or medical provision to deny that right. People have an interest in making important decisions about their lives. They are the ones who are suffering. They are the ones facing the physical and psychological ordeal of a terminal illness. They know how they want their lives to go. Technology is intimately tied to the assisted suicide debate. Future advancements in the health industries are poised to rearrange conventional conceptions of life and death, thereby forcing us to reconsider those laws and practices that lack practical, ethical and logical consistencies. We are already facing these important issues today. And indeed, we die differently now compared to previous decades. A report in Legal Medicine by Heleen Dupuis of the Department of Metamedica at Leiden University Medical School noted that people used to die "gently" and relatively quickly from such things as infections. As the Dupuis report revealed, today's diseases and causes of death are different. Technology has eliminated many causes of quick deaths and are leading to more deaths from age-related illnesses. So, for example, we have people who die from terminal cancer and Alzheimer's after a period of progressive decline. Accordingly, life-support systems and other life-extension technologies need to be carefully assessed, particularly for their capacity to inflict more harm than good. Just because we can prolong the life of a terminally ill patient does not justify the drawing out of undue pain and suffering —particularly if it’s against a patient's will and informed consent. The popularity of living wills and "Do Not Resuscitate" orders are testament to the fact that people value quality over quantity when it comes to life. Pending technologies will distort and complicate this landscape even further. Cryonics, and eventually/possibly brain plastination (or other techniques we don’t know about yet), present the opportunity for recently deceased people to enter into a state of preservation in the hopes that they will be "reanimated" in the future. As each year passes, the theoretical potential for reanimation after death becomes more plausible, not less. And as some of these prospective corpsicles discover that their brains are under attack from currently irreversible effects of aging or various neurological diseases, they will find themselves dealing with the issue of assisted suicide straight on; it doesn’t make sense to preserve a brain decimated by a neurodegenerative disorder or cancerous tumor. They will not settle for "convenient accidents," nor will they ask doctors to break the law. Instead, they will force the courts to properly re-assess suicide laws. What’s more, since aging is increasingly coming to be regarded as a kind of disease unto itself, it’s conceivable that at some point in the future we will have overcome this pervasive nemesis, along with death itself. With the potential for an unbounded lifespan, it would be ludicrous for people not to have a say over when they wish to terminate their lives. Some individuals may discover after a lengthy run of, say, 500 years, that they've had enough life, and wish to die. In such a futuristic scenario, assuming that current sensibilities on assisted suicide still dominate, the state would compel people to live indefinitely. Such a prospect does not sit well with me; it sounds more like a Twilight Zone episode than reality. And possible future developments, including mind uploading and cyborgization, could complicate the issues of life and death even further. Informed and free people deserve the right to choose when they wish to die. So while we fight for the right to a long life, we mustn't forget that we need also fight for the right to die with dignity. Images: Richard Lyons/Shutterstock; everything possible/Shutterstock; Pendleton Panther; Alcor.